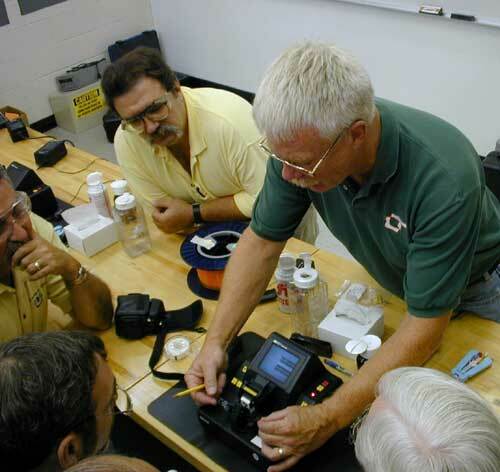 The Fiber Optic Association (FOA) is now offering a train-the-trainer program for teachers and instructors that leads to a new certification for fiber optic instructors. 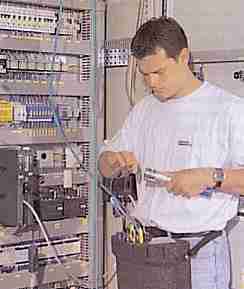 This program prepares instructors for creating and teaching hands-on courses for fiber optic technician training and lab courses for university-level programs. 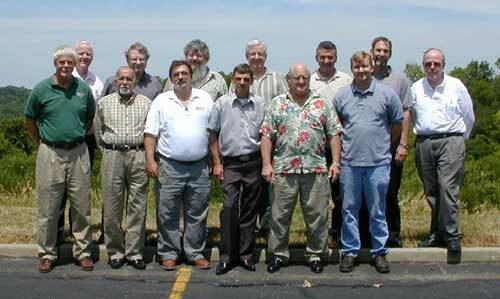 The initial FOA T-T-T program was held in July, 2002, at Northern Kentucky Technical College. At least four programs are planned for 2003. Instructors interested in the program should contact The FOA at info@thefoa.org. "The FOA was founded on the basis of education," says Jim Hayes, a co-founder of the organization and current President. "However, we are not a training organization ourselves; we offer no courses for students. Since the beginning, we have focused on improving the availability of high quality education in fiber optics through program development and approval of training courses. With our new "Train-The-Trainer" program, we are working to alleviate the shortage of qualified instructors in fiber optics and offer to experienced instructors the opportunity to become a "CFOI" ­ Certified Fiber Optic Instructor. The program has been developed by college professors John Highhouse of Lincoln Trail College, a past President of The FOA, and Tom Collins of Northern Kentucky Technical College with the assistance of the FOA Board of Technical Advisors, many of whom have been involved in fiber optics for over 20 years. John and Tom bring their experience as educators to this program which focuses as much on how to teach fiber optics as what to teach. 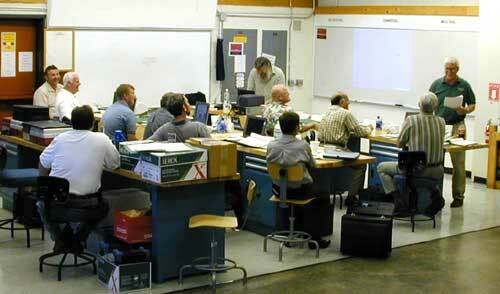 The classes cover the theory and practice of fiber optics and how to structure and teach a course. The program is appropriate for instructors at professional training organizations, company trainers and educators from university level down to technical high schools. Each attendee gets a copy of the FOA-developed program and a number of supplementary materials designed to help them develop and teach their own programs. Instructor certification is only available to those who successfully complete the course. The class. 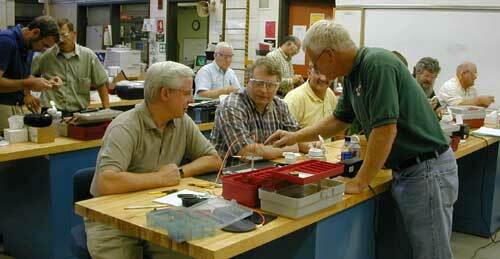 These are the first "Certified Fiber Optic Instructors"
Lots of class time was spent in hands-on activities. Instructors John Highhouse (R) and Tom Collins (L) show students the finer points of fusion splicing. "Little Black Box" Terminates Fiber? For years, I've been saying that what fiber optics needs is a "Little Black Box" that you stick a fiber optic cable into and out comes a completed termination. Needless to say, such a gadget does not exist. However, a European manufacturer of connectors has come close and the product is due to be introduced in the US shortly. Huber + Suhner has developed the Quick Assembly (TM) connector termination system that uses a simple tool that heat cures a dry-powder epoxy and cleaves the fiber. All it needs to finish is a quick air-polish and a boot. And results are more like standard epoxy-polish connectors @ 0.2 dB loss than the typical "cleave-and-leave" prepolished splice-connector that often has a tough time meeting the EIA/TIA 0.75 max loss. The Huber+Suhner termination tool looks just like a Star Wars "Light Saber"! Is Nanotech The Next Big Thing For Fiber Optics? Nanotech is certainly hot, spawning lots of startups, even state-funded "centers of excellence" to promote new companies and technological delelopment. I thought it meant building little motors that would fit on the head of a pin or MEMS switches or tunable lasers, until I had a long discussion with a nanotech entrepreneur recently. The nanotech companies are talking about changing the structure of materials at the molecular level, in effect creating new materials and components at that level that operate with high speeds and minimal power consumption. Rather than go into details, lets just say that I have heard about lasers tunable over large dynamic ranges and the development of DWDM components, switches, etc. that most manufactrers today are making with technology that is closer to blacksmithing! We are going to offer a select number of logo items including hats, t-shirts, jacket patches, etc. to be sold over our online store in the near future. The items we offer are going to be determined by the requests of our members, so let the FOA office know what you would like.